We have another minimalist, reductionist, abstract-ist range of Friday Likes today with work from Saint Petersburg, Helsinki, and Sydney. 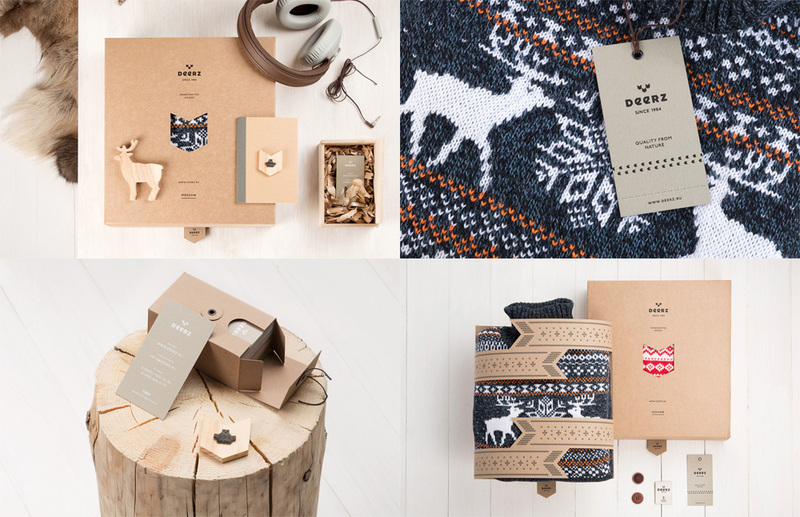 Russian, online retailer Deerz specializes in the bad-kitschy-Christmas-sweater genre and all its appropriate stitched motifs with a specific product category for sweaters with reindeer. Although the models alone manage to make this often-laughable clothing choice look cool (and kinda hot), the identity and packaging designed by Saint Petersburg, Russia-based Eskimo make it clear that these sweaters are no laughing matter. Designed around a great, minimal abstraction of a deer using the shape of a stitch, the identity feels contemporary, earthy, and hip while letting the sweaters take all the lavish attention they deserve. See full project. I’m still not a 100% positive on the brand architecture and where the “Allsorts” licorice product falls but from what I understand and so that we can move on to talk about how tasty the boxes above are I’ll summarize by assuming that Malaco is one of the brand names from Cloetta, a Finnish confectioner, under which this line of licorice is sold. Regardless, all that matters is: Finnish, licorice, packaging, pretty. 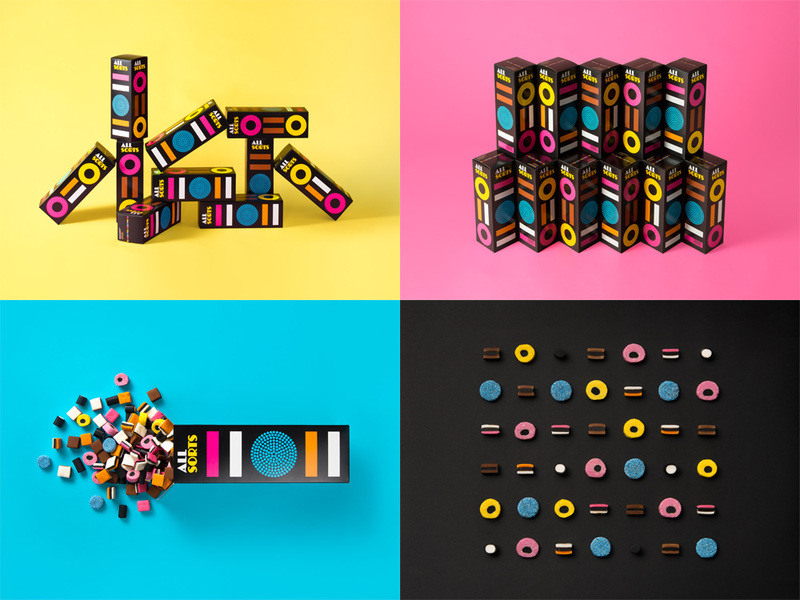 Designed by Helsinki-based Bond, the boxes and bags for Allsorts take cross-sections of the shapes and colors of each piece of licorice and abstract them to be rendered huge. And they look superbly fun, specially in contrast to the old design. See full project. Specializing in short film production for weddings and corporate clients, Brooklyn-based Visualaz now has its own pithy, three-arc story to tell with an identity designed by Sydney-based Re:. 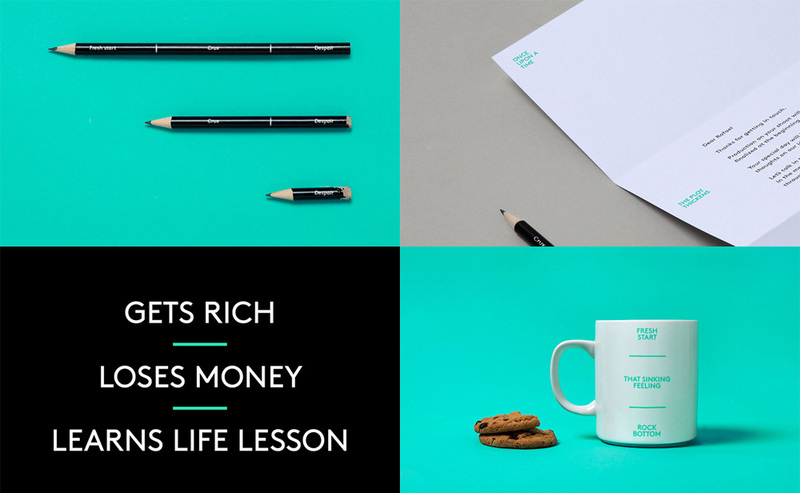 With a beginning, middle and end as the basis, the identity is visually and verbally playful, turning everything from a pencil to a mug into a Shakesperean tale. Sort of. A nice reminder that words can play an important role in identity and that it’s not just about flexible doodads and graphic gizmos. The end. See full project.